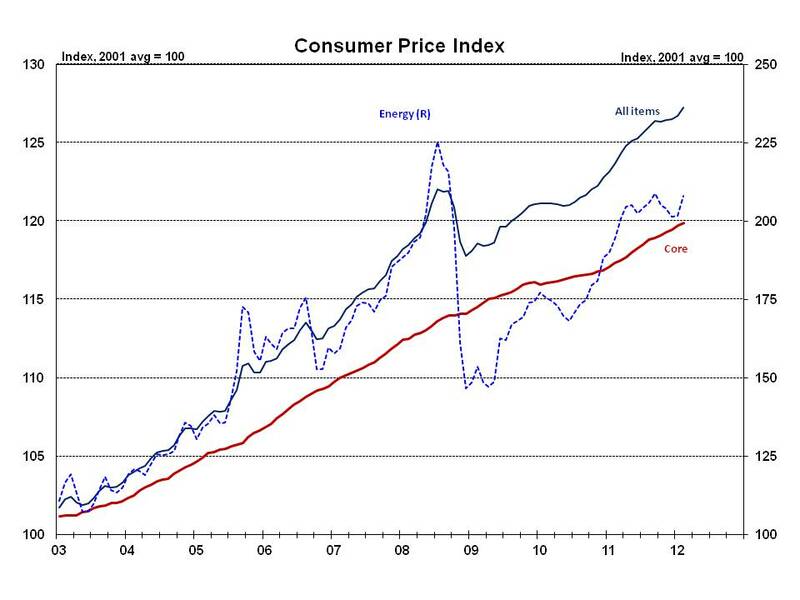 The Consumer Price Index for All Urban Consumers (CPI-U) jumped 0.4% on a month-to-month basis during February 2012. Although the core and food CPI indices registered very modest gains, energy prices increased 3.2% and accounted for the vast majority of last month’s gain in the overall CPI. In fact, had natural gas prices not posted their fifth consecutive month-to-month decline, the contribution from the energy index would have been even larger during February. The monthly national average retail price of gasoline (across all formulations) increased 20 cents per gallon (or nearly 6%) between January and February; with retail prices at the pump having gained an additional 10 cents per gallon nationally through mid-March, energy will likely bolster topline CPI for March. The shelter index, which serves as the CPI’s broad measure of housing costs, increased 0.2% in February—the identical rate that it has averaged over the prior 8 months. On a year-over-year basis, the shelter index increased just above 2%. Looking more specifically at the rental market, NAHB’s measure of real rental rates, which is constructed from the CPI for rent of primary residences and overall CPI, fell for the second consecutive month during February. Recent data from NAHB point to the multifamily housing market stabilizing to some degree after conditions tightened significantly over the course of 2010. 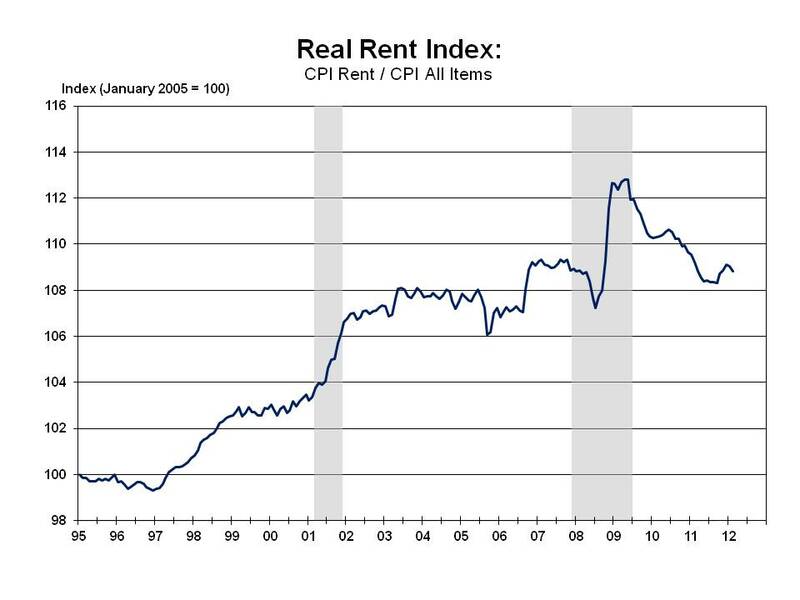 Although NAHB’s real rent index suggests weaker demand for apartments, the softening in the real rent index is a result of energy prices pushing the overall CPI up at a faster rate than rents. An accelerating pace of payroll growth (and by extension stronger household formations), as well as ongoing difficulties for potential homebuyers in obtaining credit will bolster apartment demand further going forward and likely put additional upward pressure on asking rents.